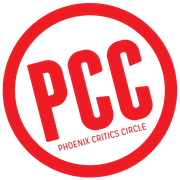 The International Horror and Sci-Fi Film Festival is part of the 501c3 Phoenix Film Foundation. We rely on the generosity of the public and local companies to make sure we can keep giving our audiences amazing film-going experiences year after year. There are many ways to get involved in the International Horror and Sci-Fi Film Festival. Become a volunteer for the Festival, or if you are short on time, consider supporting us every time you shop, or by becoming a Reel Friend of the Phoenix Film Festival. 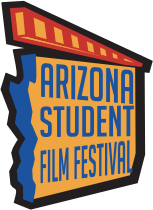 Volunteer for Arizona’s Largest Film Festival! The International Horror and Sci-Fi Film Festival is looking for fellow movie-lovers to volunteer for the upcoming festival! IHSFF 2019 will be held in the beginning of 2019 and will feature the finest in independent film from around the world, as well as celebrities, seminars, and parties all week long! In exchange for a commitment of at least 24 hours, volunteers will receive a festival t-shirt and a full Phoenix Film Festival pass ($150 value, excludes the opening night screening). We are looking for enthusiastic people in the following areas: Theater Operations, Merchandising, Ticketing, Silent Auction, Kids’ Day and Events. For new volunteers, please plan on attending one of our volunteer orientations (date and time TBD and will be scheduled closer to the Festival). Orientations usually last one hour. If you'd like to become a volunteer for the International Horror and Sci-Fi Film Festival and the Phoenix Film Festival, please fill out your name, email and phone number in the form to the right. We will email you with volunteer opportunities and orientation dates and times. Thank you for your support and we will see you at the festival! Thanks to a program on Amazon.com, you can support the Phoenix Film Foundation while you shop. By clicking the link below, you will be able to support the Phoenix Film Foundation and our educational programs while you pick out that perfect present because of Amazon’s new program, Amazon Smile. Through Amazon Smile, once you have made the Phoenix Film Foundation your charity of choice, Amazon will donate 0.5% of your purchase’s price to help us on our mission: to support and develop the artistic appreciation, educational opportunities and growth of independent film within Arizona. We do this through our educational programs that teach the art of independent filmmaking to hundreds of Arizona students every year. Buy your groceries at Fry's! 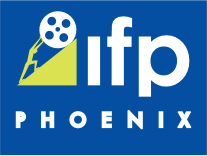 The Phoenix Film Foundation is a part of the Fry’s Community Rewards Program. As a part of OUR community, you can help us out just by linking your Fry’s V.I.P. card to the Phoenix Film Foundation. It couldn’t be easier. Just go to this page on the Fry’s Food Website. In the upper right corner, either Log in to your Fry’s V.I.P. account or create a new one.Once you have an account, click on the “My Account” button. Just below the “Personal Information” section, you will find the “Community Rewards Section” . Search for “PHOENIX FILM FOUNDATION” (or type in our number: 84752) and click enroll. Once registered and signed up, you help the Phoenix Film Foundation every time you use your Fry’s card! On behalf of the Phoenix Film Foundation and the thousands of kids we support every year, thank you!